After seeing Mystic Seaport Museum's ANNIE A. FULLER, an 1872 Kingston lobsterboat built by Arthur Rogers, Nathan Rome experienced "love at first sight...I had to build that boat." Working from plans that he bought from Mystic, Nathan built the boat with Atlantic cedar strips on oak frames with a backbone of white oak and locust. While he built the hull true to the original's lines, Nathan modified the sail plan and interior detailing. 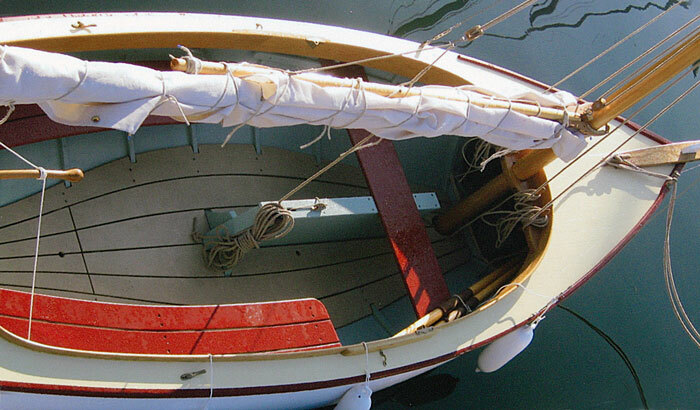 "The original boat was a sprit-rigged ketch with very little seating. 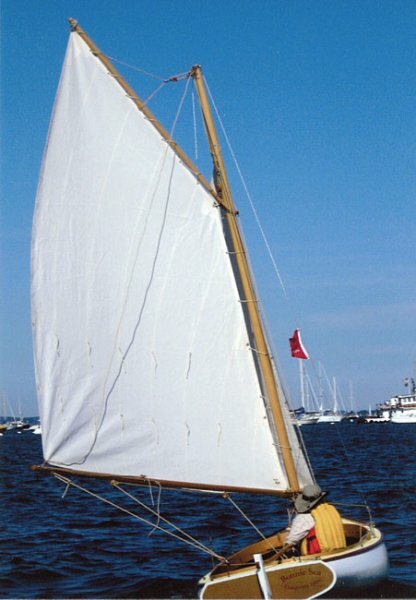 To provide more seating and a rig that I could handle alone, I eliminated the aft thwart and came up with my own sail plan, a gaff-rigged sloop. To balance the sail rig I added a bowsprit." 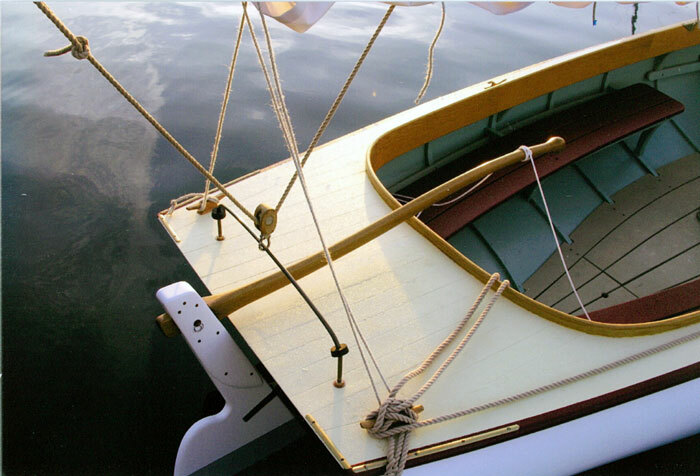 BONNIE SEA won first place in the owner-built sailboat category at the 2008 WoodenBoat Show's Concours d'Elegance. Following satisfactory sea trails off Salem, MA, the BONNIE SEA will sail the waters of the Cranberry Isles, Maine.